Mentor text is a common facet of writing instruction. 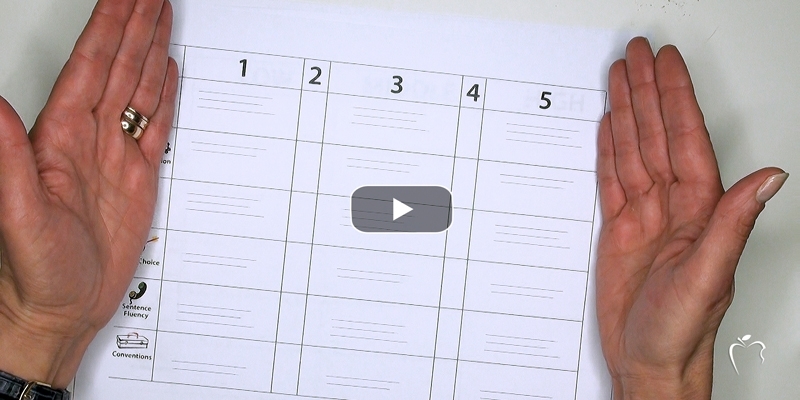 It's the portion of a mini-lesson where the teacher guides students through the reading of strong examples. In order to integrate mentor text, teachers need to know how and when to bring it into the lesson and which texts are best to use. 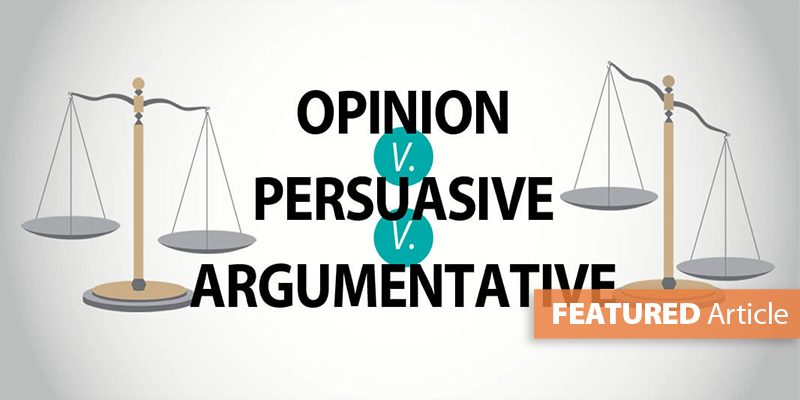 Kick off each 10-15 minute mini-lesson by first identifying the trait-based writing skill. 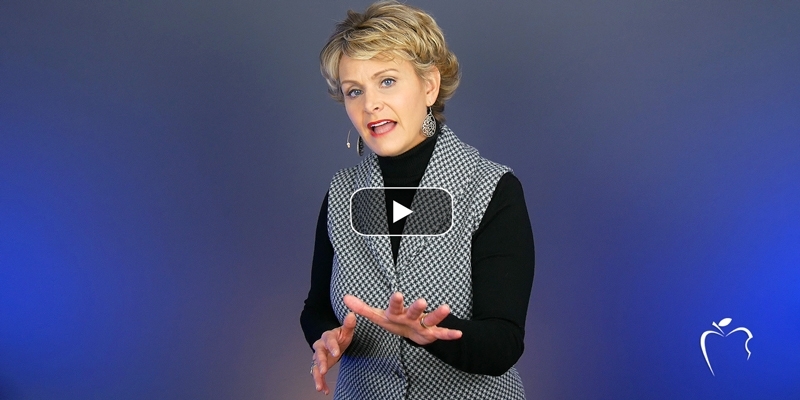 Convey to the students exactly what you're trying to teach them. Then, explain the purpose or function of the day's writing skill. How and why would a writer use it? How does it impact a reader when the skill is used? 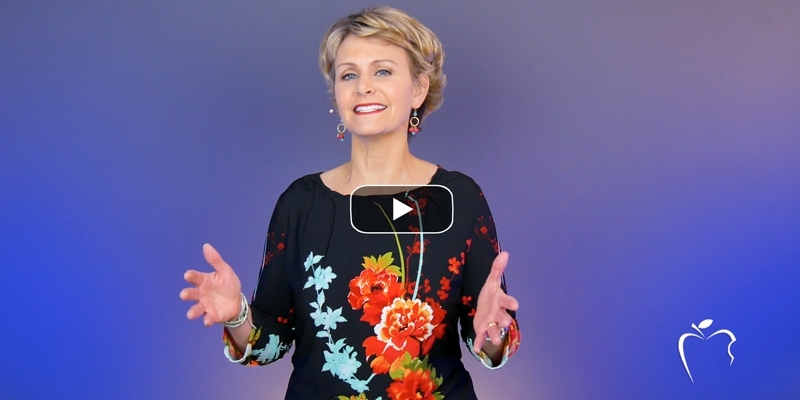 With the foundation of the lesson set, it's time to reveal the strong example. This is when the teacher shows the students the mentor text and begins to break it down. Point out the characteristics and qualities of the text. 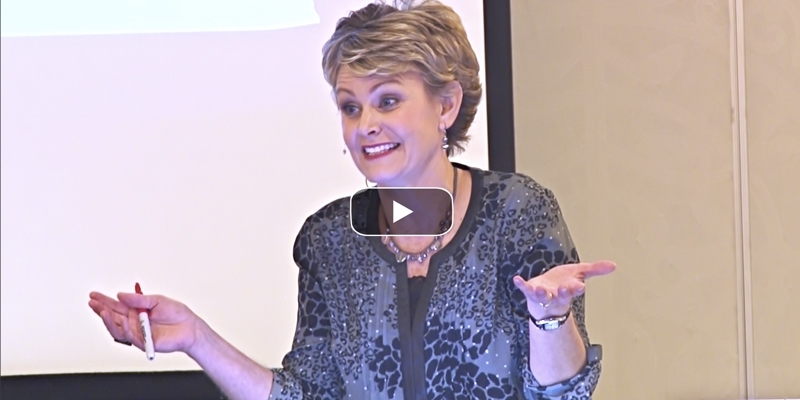 Explain the skill "in action" with the ultimate goal of students emulating that same skill in their own writing. When choosing a text to use in a lesson, there is a cardinal rule: Students must be familiar with the text. Therefore, do not plan to read the text for the first time during your writing lesson. Students have to have heard, read, or seen the text first as a reader before they are ready to re-read it as a writer. Familiar text is best, but then there is a second rule: Do not plan to read the whole text in the mini-lesson! The bulk of the mini-lesson time is to be spent teaching a writing skill--not reading a 24-page picture book! Rather, reveal the strongest excerpts of the mentor text. Now, it's fair to say that almost every skill can be found in any text. However, ideal passages are a balance between the shortest excerpt that provides the most examples. This allows students to see the skill in action numerous times while maximizing the minutes of instruction. 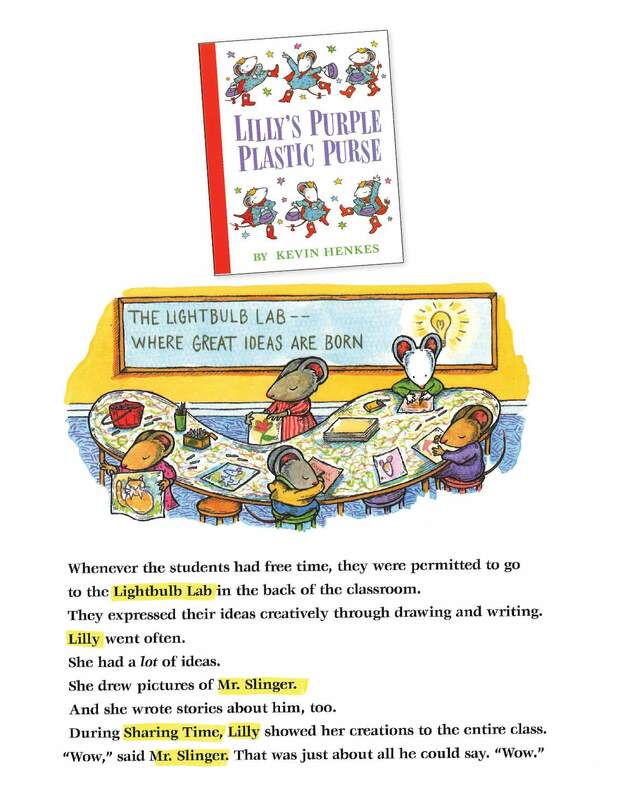 When preparing a conventions lesson on proper noun capitals, find an excerpt with numerous examples of proper noun capitals within a handful of consecutive sentences (e.g., Lilly's Purple Plastic Purse). 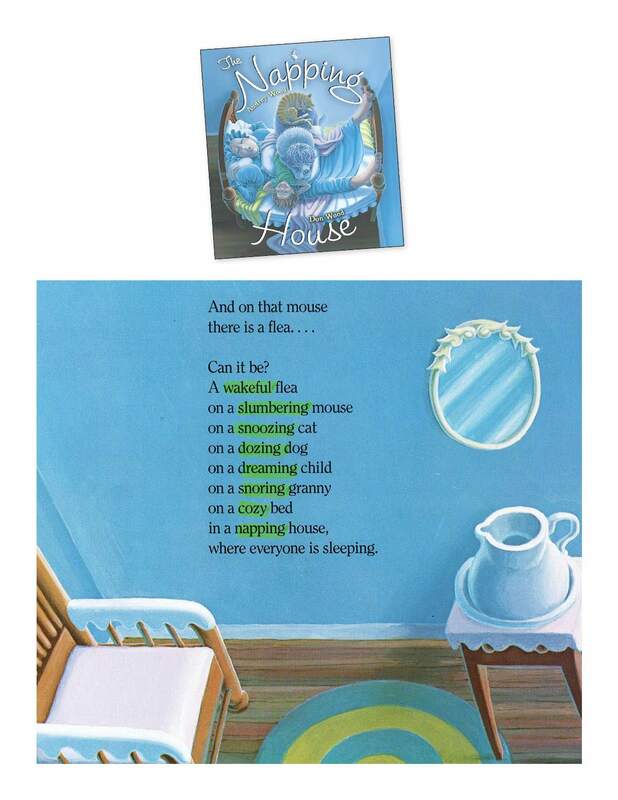 When preparing a word choice lesson on adjectives, find an excerpt with numerous examples of adjective-noun combinations all on one page (e.g., The Napping House). A fringe benefit to using only a portion or page of a favorite text is that you can utilize that same text over and over again all year long. Choose a different excerpt from a different page to teach a different skill. That said, teachers will need regular access to the same mentor texts. Therefore, it may not be wise to store them within the shelves and baskets of the general classroom library! They will likely not be there the day you need them. 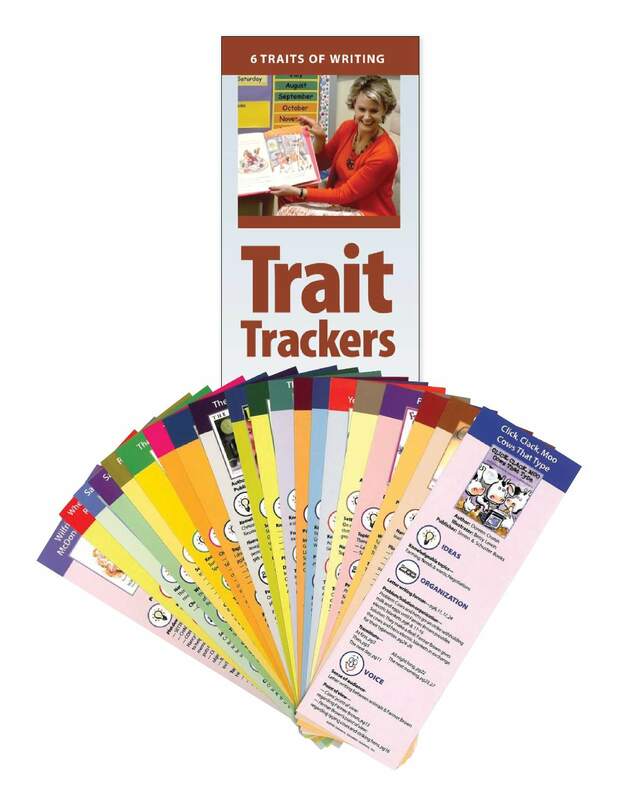 If you need some help getting started with using mentor text in a meaningful way, check out "Trait Trackers." Kristina Smekens created this handy resource to make it easy to use picture books as mentor text by "tracking" when and how the Six Traits appear in 20 popular titles. 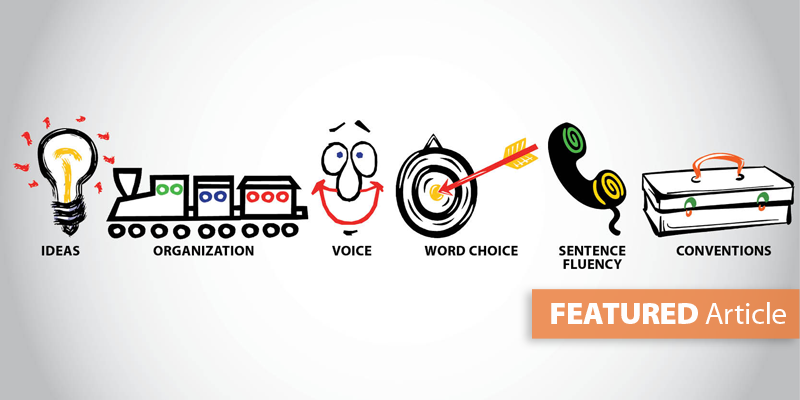 A set of "Trait Trackers" features one bookmark-size card for each mentor text, and each card offers a page-by-page citation of the Six Traits in action. 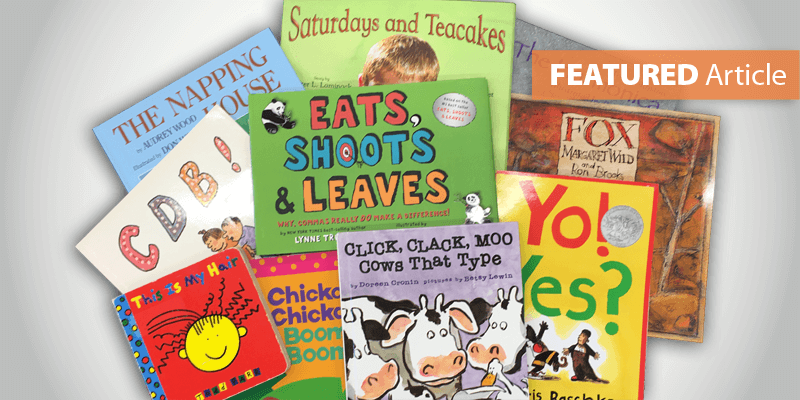 This site identifies teachers' favorite picture books for working with the 6 Traits. Each set of titles is not only sorted by trait but also identifies those better for primary or the intermediate/secondary grades.